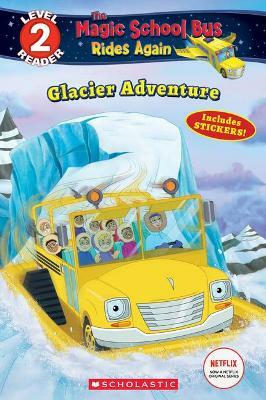 Next stop...The Magic School Bus heads to Antarctica to learn about glaciers! D.A. is more of a researcher than a storyteller, so she's naturally nervous when her parents sign her up to speak in front of a sellout crowd. But thanks to the Friz, D.A. gains inspiration from the greatest storytellers on Earth: glaciers! These mighty, frozen time machines guide the class through the Earth's last 10,000 years, and the incredible tale of the changes it has witnessed. Collectable stickers in every The Magic School Bus: Rides Again readers! Samantha Brooke is a children's book author living in Brooklyn, NY.